Now I'm not claiming to live the lifestyle but I do appreciate the layered almost messy style associated with the word grunge. 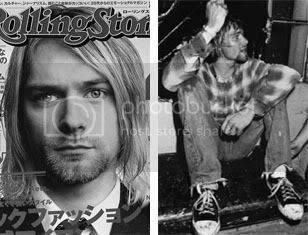 Recently we've been seeing a resurgence of Hollywood celebrities reviving the style made famous by artists such as Kurt Cobain by wearing plaid shirts and rocker accessories. As much as I think her style has gone downhill, I really do think the grunge look suits MK's persona. I think she does the oversized plaid button-down especially well.